After a long day to Pangyong Lake, next day we started very early in the morning at 6 AM for Nubra Valley (also called – the valley of flowers) which is near to Indo-Pakistan border. 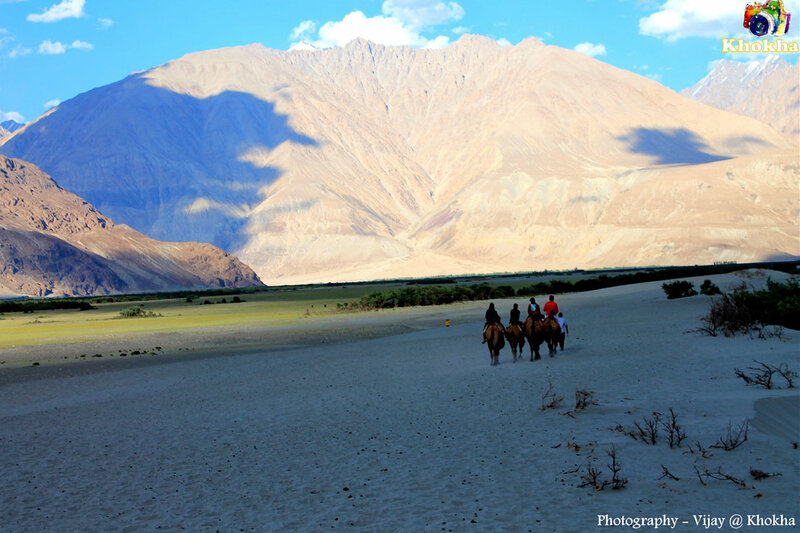 Before landing to LEH – LADAKH we didn’t know much about this place, but just that Nubra Valley is the coolest and the only white sand desert in the world. However I must say that in the entire trip to LEH, the journey to Nubra Valley was the most beautiful and mesmerizing; in fact the journey was more beautiful than the destination. The valley is surrounded by rusty Karakoram mountain ranges and the road was full of adventures with fanatical sceneries, gigantic black mountains, lovely streams, wide variety of colors and musical Shayok River. Entire valley was like full of rusted scree & encircled massive, scorched dustbowl, narrow & uphill paths & covered by blue umbrella. It seemed like; I am in the different planet altogether, which changes its state every second, but thanks to BRO (Border Road Organization) for maintaining the roads. This valley is also known for its wildlife sanctuary. Though the journey from LEH to Nubra is long, but the scenic beauty in the entire travel is so amazing that we were not felt like tired. 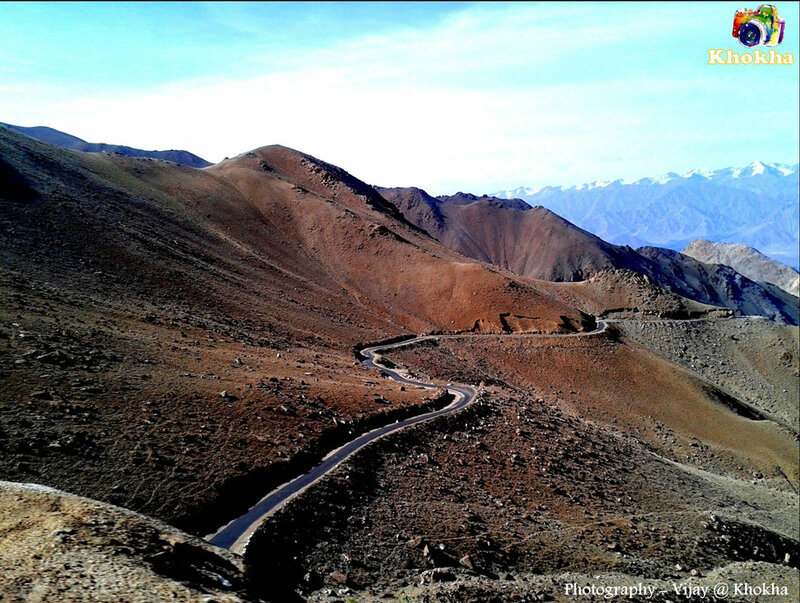 On the way to Nubra Valley, we crossed Khardung La pass, it was the highest motor- able road in the world (around 18350 feet above the sea level), it was chilling so we could not resist staying there for more than 30 min. 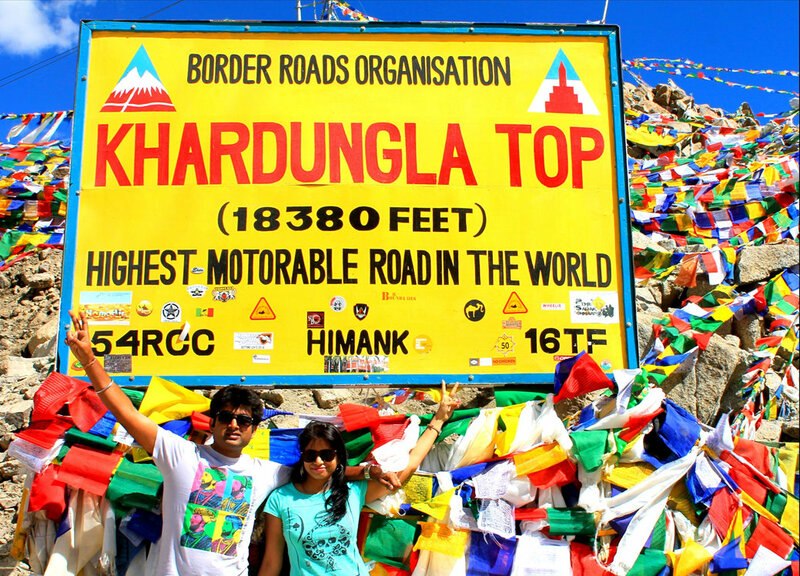 We all were heard about Khardungla Top – The world highest motorable road and were so excited to travel through this narrow but a famous pass. 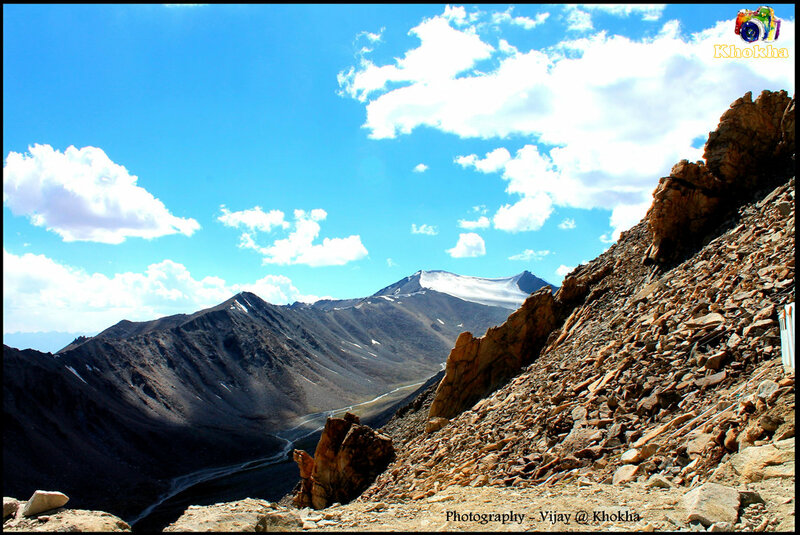 Our cab driver Ali told us some interesting stories about the Khardung La pass and also told us not to stay there for long, as the oxygen percentage is less here and soon we were feeling little dizzy after taking some memorable clicks of our life time. I must say feeling of been to world’s highest motorable road “Khardung La pass” was Amazing. 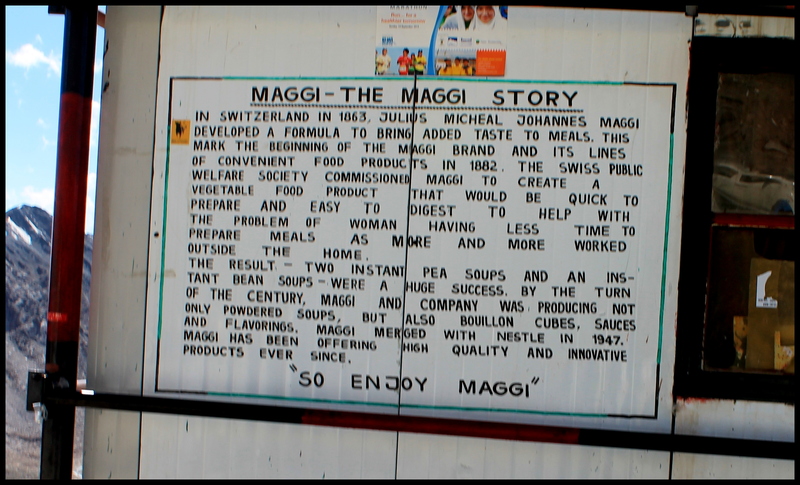 We also got to know that the invention of our famous 2 minute dish “Maggi” is made here. In the night, the valley shows its magnificent form, looks like a moon-land and a canopy of twinkling stars hover over the barren mountains. Nubara Valley, is the world coolest and white sand desert, here we enjoyed camel ride, unlike a normal camel; it was the Bactrian camel, Camel with two humps. We also got a chance to gasp the holiness of Diskit Monastery, where the 100 foot high Maitreya statue (King Budha ) was there. We also visited lots of Monasteries; Thiksey monastery & Shey monastery draped with “colourful wheel of fortune”, prayer flags, and Lamas, spreading their blessings and peace on the wind. We really sensed that divine feeling wit ourself. While returning from Nubra valley to LEH; we again sensed lots of rarefied sceneries like yaks & ‘Zo’ (animal like Yak) grazing on the lushy grass lands, serpentine rivers and colossal water falls. Overall it was a life time memorable journey with scrambled, hyped & massive mountain ranges of Himalayas & Karakoram, with unforgettable greenish & bluish tinge sceneries and combination of mesmerising natural beauty, spirituality and blissful peace. 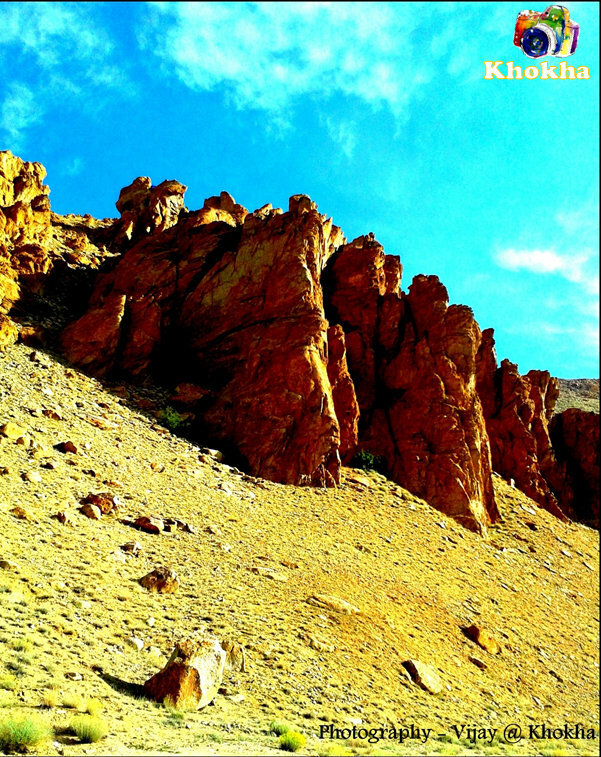 This celestial landscape offers self-realization to the sole and left a hypnotic impression for rest of my life. Remember returning back to LEH from Nubara Valley on same day is a tiring and long journey and not Recommendable. 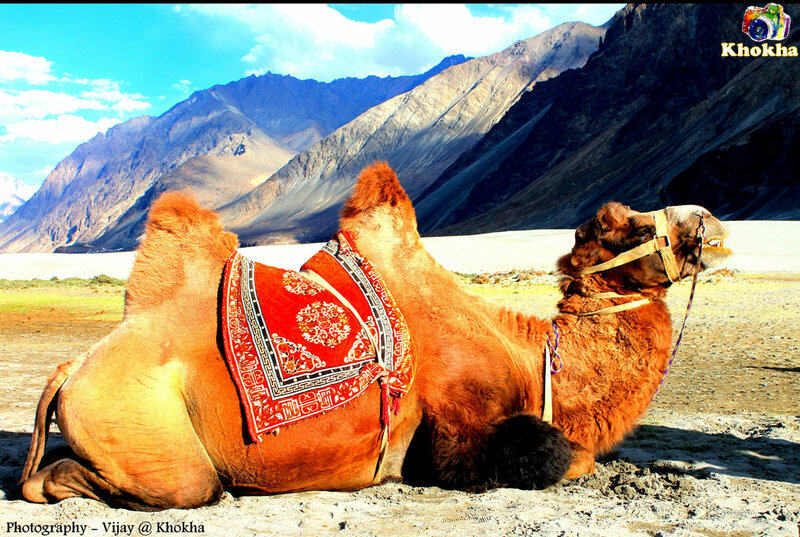 Better stay in Nubara Valley and enjoy the nature’s at it’s best, absolute peace, Go to villages near by, meet locals, have local fruits, enjoy Camel ride, Sit back and relax and Do More in the lap of Himalaya. We stayed here at KarmaInn Hotel (Read my Leh trip experience and know more detail like where to stay, Places to Visit and many more). 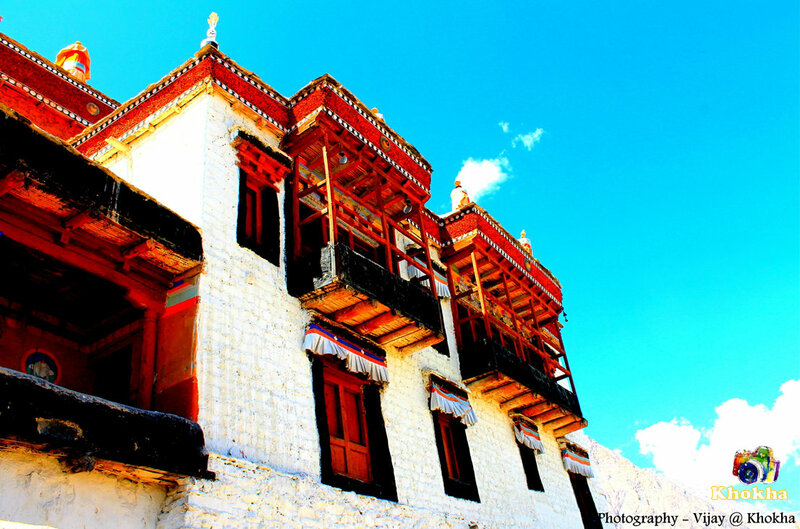 MUST SEE PLACES IN LADAKH. 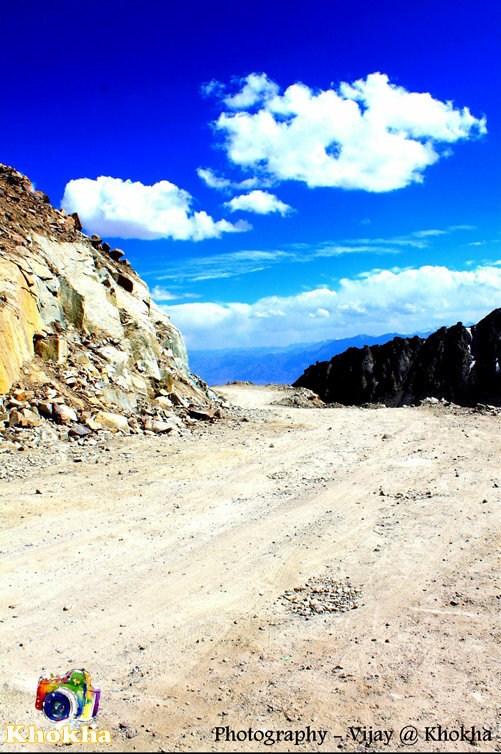 HOW TO REACH – LADAKH with MAP. 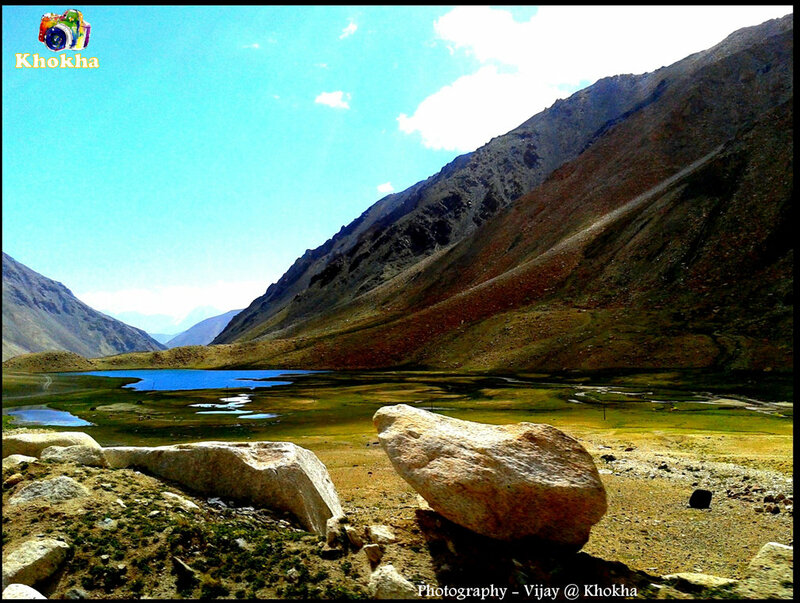 BEST TIME TO VISIT – LADAKH. 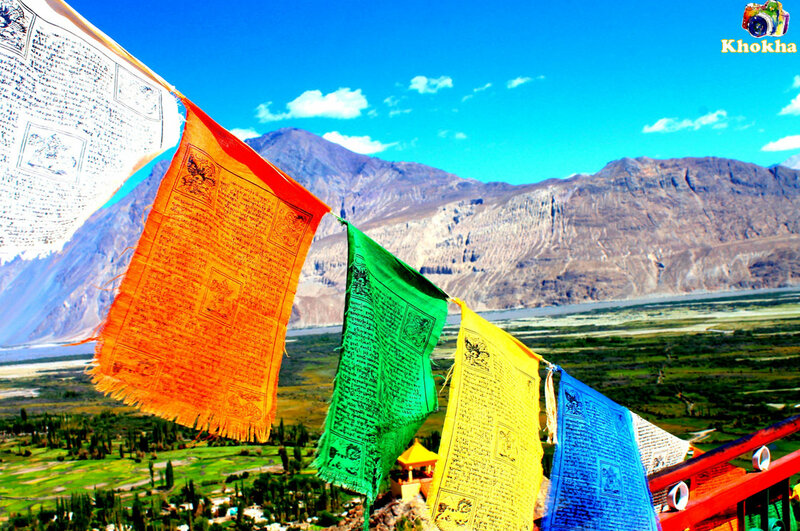 WHAT TO CARRY WHEN TRAVELING TO – LADAKH. EVENTS AND FESTIVALS IN LADAKH.